All you need in a single software. Easy + Powerful = Lean. 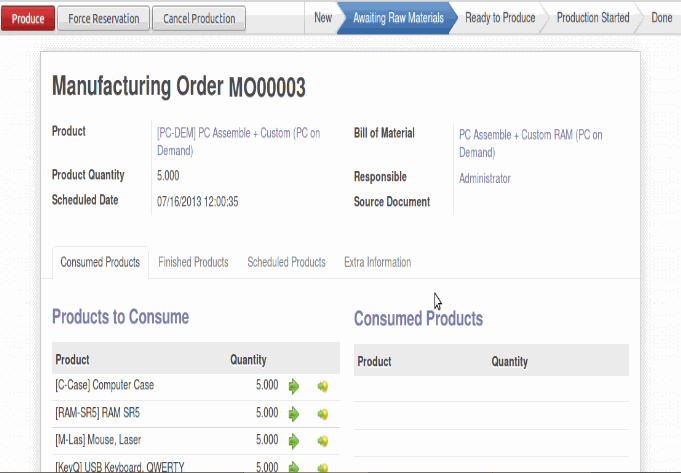 Get all your assembly or manufacturing operations managed. 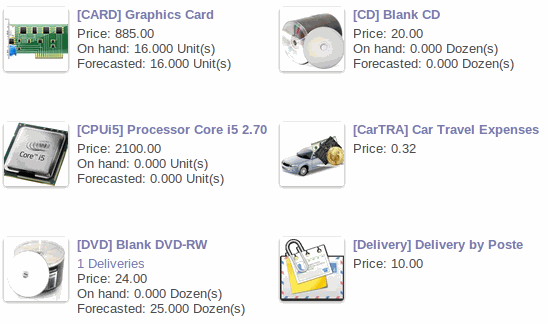 Schedule manufacturing orders and work orders automatically. Review the proposed planning with the smart Kanban and Gantt views. Use the advanced analytics features to detect bottleneck in resources capacities and inventory locations. 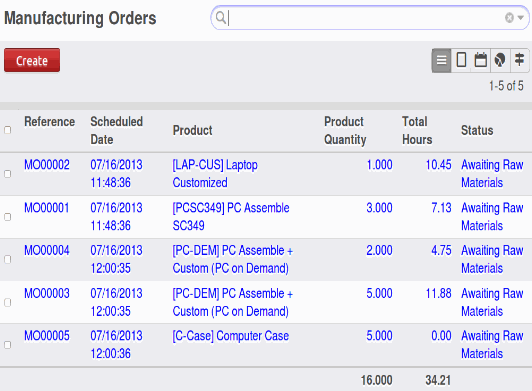 Get manufacturing orders and work orders scheduled automatically based on your procurement rules, quantities forecasted and dependent demand (demand for this part based on another part consuming it). 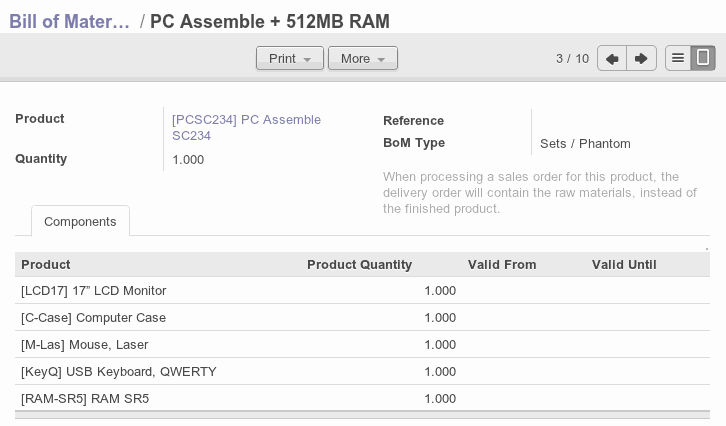 Get the flexibility to create multi-level bill of materials, optional Work Order Operations,version changes and kits. You can use BoM for kits or for manufacturing orders. Edit manually all proposed operations at any level of the progress. With this software, you will not be frustrated by a rigid system. Define Work Order Operations and plan the working time and capacity of your resources. 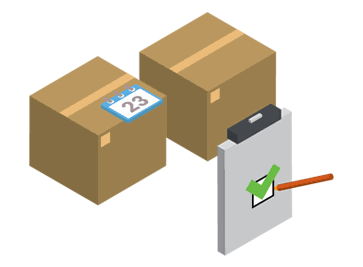 Quickly identify resource requirements and bottlenecks to ensure your production meets your delivery schedule dates. Organise manufacturing orders and work orders the way you like it. 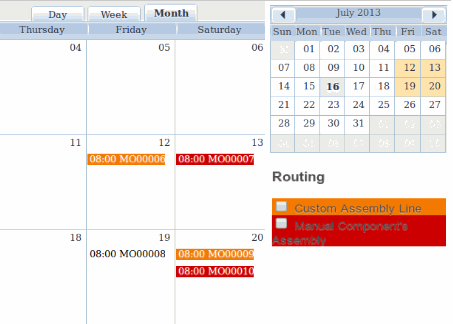 Process next orders from the list view, control in the calendar view and edit the proposed schedule in the Gantt view.